At the January 2016 NCAA Convention, the leadership of the autonomous 65 institutions tabled three proposals intended to reduce student athlete time demands and passed a resolution to address the topic in the next 12 months. It is well known that the time demands for a student athlete are significant, with student athletes indicating they spend in excess of 40 hours per week on their sport (yet NCAA rules permit a maximum of 20 hours per week) in addition to their academic expectations and the desire to have a personal life. It is widely recognized the system has tilted too far away from a model that values the student experience. But, as I described in part one of this series, the current compensation structure rewards athletic performance and under values educational outcomes. The result is the maximum permissible amount of time that can be spent on athletics becomes the minimum. And the minimum amount of time that can be devoted to other pursuits such as academics becomes the maximum. Time limitations should be sport specific. Every coach will tell you their sport is unique - establishing a permissible number of athletic activity hours for a sport should be no less specific. This concept is already evident in the number of contests played, season lengths and a host of other areas. There should be no expectation that the number of permissible hours should be the same for all sports. Acknowledge that 20 hours per week in-season may not be enough to allow appropriate preparation and the permissible number of in-season hours should be increased by sport to reflect this reality. As compensation for increased in-season hours, reduce out-of-season time demands from eight hours per week to four or perhaps even fewer and reduce the number of days these activities can occur. At eight hours per week, student athletes can be required to participate in 90 minutes of athletic activities five days per week or two hours four days per week. The logical opportunity for student athletes to regain time is out of season when extensive direct preparation for competition is not necessary. Increasing the estimated amount of time that is used to account for a competition day - current rules count all activities on game day as three hours, regardless of the amount of time spent. When factoring in pregame meetings, warm ups, post game, and the contest itself, the hours spent in most sports are likely double the accounted for three hours. Counting all activities that involve coaching and sport specific staff, whether mandatory or voluntary, towards the new hours limitation. If there is seriousness about emphasizing freedom to pursue personal opportunities, part of this is recognizing that time spent on one activity cannot be used on another. By accurately counting hours and establishing sport specific limits, it should be evident when a student athlete has reached a point of diminishing or negative returns and engage in other activities. Counting activities under the safety exception - Workouts that are supervised by coaches for safety purposes should be considered countable hours. Travel time should count in the permissible number of hours as four hours, similar to the current manner of accounting for a day of competition. Travel that is less than four hours should be recorded accurately to represent the actual time spent. While not a perfect solution, it is a step towards accurate representation of travel demands. The obvious criticisms are that this is unfair to institutions who are geographically remote, that travel is unpredictable, and that many conferences are geographically disbursed. All of this is true, and it's exactly why travel should be counted. None of these concerns change the fact the burden of travel directly impacts student athlete's lives. Providing no accounting of the hours lost due to travel is yet another example of inaccurate counting that should be addressed. A benefit of this approach may be coaches scheduling more geographically favorable non-conference contests and conferences scheduling in creative ways that develop travel partner arrangements, neutral site scheduling and other mechanisms to reduce the travel burdens that student athletes face. Schools that have their athletes continually playing "buy games" on the road to fund their athletic programs will need to adjust student athlete hours in other ways to compensate for never playing at home, or schedule more home contests. Establish a minimum expectation for academic engagement. If a student athlete is taking 15 credit hours, at a minimum they should expect to spend 15 hours per week attending class. In addition, it seems reasonable to expect one hour per credit hour each week to study, prepare, research and read for their courses. 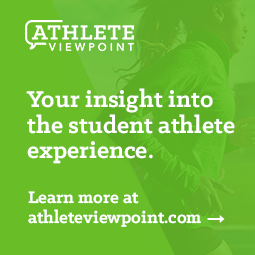 Mandatory academic engagement already exists in athletics through supervised and mandated studying. Establishing a minimum baseline should be considered. This may be viewed by many as unworkable, unnecessary or a further infringement on student athlete time. But imagine the compound effect of 100+ hours each semester spent on academics - grade point averages and graduation rates should skyrocket. Finally, as the debate heats up regarding how to return time to student athletes, I'd encourage decision makers to use a simple litmus test to determine whether they are on the right track in returning those hours to students. Assume for a moment you are required to record athletic and academic engagement as suggested above. When determining whether something should "count" toward the academic minimum or athletic maximum hours, find a corresponding example in the other area and see if you would count a parallel activity in the same manner. For example, rehabilitation from an injury does not count in the current NCAA permissible 20 hours. If you were counting academic hours, would you say the same thing about tutoring, which is a form of academic training? If a three credit hour class meets for 50 minutes three times a week, would you count this time as 2.5 hours or three? On the athletic side when trying to avoid hitting a maximum, it would be counted as 50 minutes per practice. Would it be counted similarly on the academic side? While not a perfect test, these parallel examples help sort out what should and should not count and will help move toward greater accuracy. Ultimately, the challenge of solving student athlete time demands will be only partially addressed by the above ideas. Tweaks around the edges to give a week or two back to students and letting them reclaim their sleep time between 9 pm and 6 am is only effective if it occurs within a larger adjustment of the structural aspects that truly drive time demands - length of season, out of season requirements, practice and competition start dates, exempt events and the number of contests among other things. In part three of this series, I'll move past accounting for hours and examine ways to provide even greater reductions in student athlete time demands.